Voting is going on NOW for the next Top Dog Model! Just browse through the Album, click the individual photos and LIKE the ones you want to vote for! 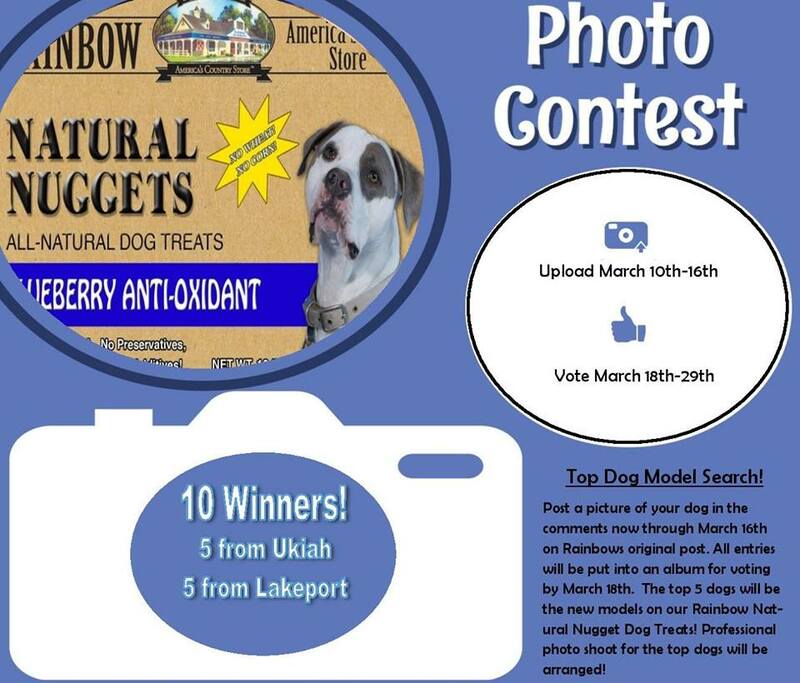 The top “like” getters will get a professional photo shoot and be featured on the packaging for Rainbow’s Natural Nuggets Dog Treats! Voting ends March 29, 2019. Fido Field Trips Mendocino Animal Shelter – Take a shelter dog on an outing! Orphan Dog Big Fix Day date has changed to June, due to scheduling conflicts. Orphan Dog is raising $12,500 to fund this event – learn more here. Alfalfa Booking Sale March 31 through April 6. Order and pay for your prime quality Alfalfa hay, and pick up before April 28. No Tax Outdoor Power Equipment Sale April 12 & 13 (Friday & Saturday). Let Rainbow’s trained OPE specialists help you select the right equipment for the job, at the best prices of the season! Rainbow’s Spring Anniversary Sale May 3, 4 & 5. Our BIGGEST sale of the year! 20% Off most Everything in the stores, Hot Buys and Specials. 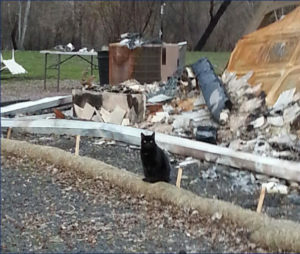 March is Pet Poison Awareness Month! Accidental poisoning is very common, especially among dogs – who are well known for being curious and tasting everything! Learn about preventing accidental poisoning, and where to call for help if you suspect that your pet has consumed something dangerous, at the Keeping Pets Safe: Poison Prevention page. With the recent abundant rains, there have been reports of dogs eating poisonous mushrooms right in their own back yards! Examine your dog’s yard and remove all mushrooms – the poisonous ones can look just like the editable ones! For a list of potential poisons in your home and yard, check out this page, also courtesy of the Pet Poison Hotline. This entry was posted on Tuesday, March 19th, 2019 at 3:04 pm	and is filed under News, Rainbow Wags Newsletter. You can follow any responses to this entry through the RSS 2.0 feed. Both comments and pings are currently closed.